Brian is a data intelligence executive with 25 years experience running software companies. Most recently, Brian ran the Industrial Data Intelligence division of GE. Working with big data and analytics, he also led GE’s Industrial Performance and Reliability Center, which monitored billions of dollars worth of assets for customers around the globe. An MIT graduate, Brian participated in India for Cambridge Technology Enterprises in 2008. 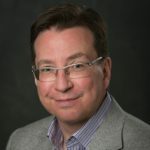 James has over 30 years of experience connecting people with data. He’s an Industrial Internet expert with a focus in data-driven solutions for operational technology. 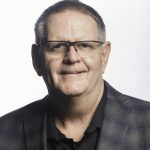 Jim has significant experience deploying innovation solutions to con­nect people to their critical assets in various markets, including but not limited to, manufacturing, water/wastewater, power and oil and gas. 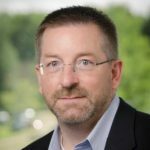 A Carnegie Mellon graduate, James is the founder of Gray Matter Systems, GE’s largest software partner and a Inc. 5000 Fastest Growing Company in the US. Bob has 30 years of experience in product development. His expertise lies in the design and development of generator control systems for TCSA and Emerson Process Management. 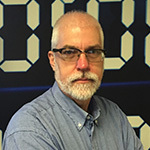 A Carnegie Mellon graduate, Bob has been an embedded systems consultant for 10 years. 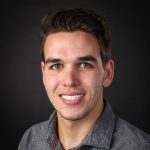 Brenden Knecht is a Robert Morris University graduate with a Bachelor’s of Science degree in Mechanical Engineering. He is also certified in data science through the Microsoft Professional Program. Brenden combines these two skill sets to understand how HVAC systems operate and create machine learning models to alert/predict failures in home assets. Scott is a serial entrepreneur who’s foundation is in technology equipment finance. He owned a successful equipment finance brokerage and also built and operated a small chain of automatic car washes in the Pittsburgh area. Scott also currently serves on the Board of Directors for Christian Housing Inc. a Pittsburgh based low-income housing that currently owns 14 properties. Scott has a BS of Communications degree from the Clarion University of PA.